At Piggs Peake we make a lot of different Shiraz’s. Theres Shiraz from the Hunter, Mudgee, Orange, Young and McLaren Vale and they are all wonderfully different. It is extremely rare that any batch cant be improved with a little blending from another region. 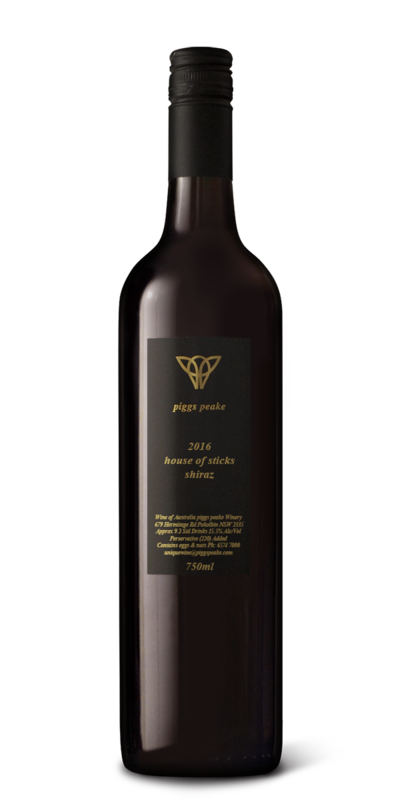 In the case of the 2016 House of Sticks Shiraz the wine is a blend of McLaren Vale and Orange shiraz’s. McLaren Vale gives a lovely fullness to the palate and a big rich, sweet mid palate. Orange gives elegance to the blend. A bit of lift and perfume to the nose and length of palate. A small Viognier addition then smooths the tannins out. This is a full bodied wine which deserves a bit of respect.